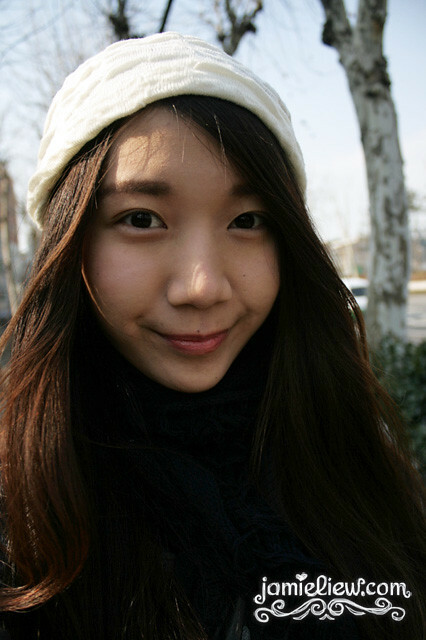 just in case you’re not a follower of my blog, I am now in Korea for my language studies. the plane landed 5minutes earlier but then the immigration was taking such a long time so I missed the last bus to take to my friends place (they usually have bus till late for places like Myeongdong). I sneaked 8kg (oh well laptop doesn’t count as a baggage for AirAsiaX apparently) and my shoulders are aching even until now T____________T. 3 baggage handcarry and 3 checked in. if I were to total everything up it would be more than 50kg. no kidding. but I’m here for my studies! no choice. the other choices would be expensive. I have a friend’s friend whose bag is so heavy she brought her mom with her so that she can have extra weight and it’s cheaper like that haha. HII!! from the first day in Seoul. today’s my 2nd. but my friend said it’s 3rd. BUT I LANDED LATE! this was when I first landed. my friend’s mom already prepared delicious dishes prior to my arrival. but since the immigration was treating me bad and I couldn’t catch a bus, I arrived at her home at 1am. felt so bad because she had work =/. 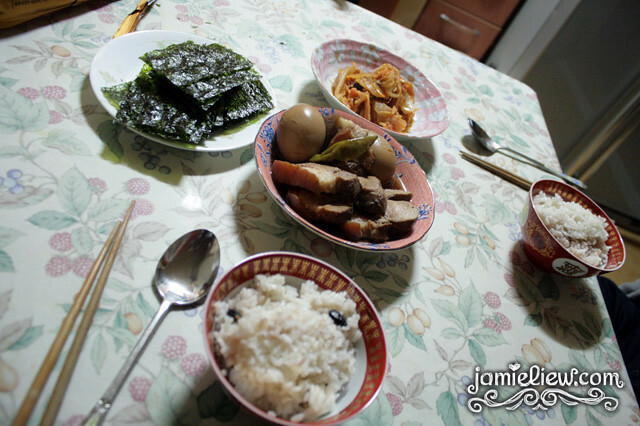 but really, korean home cooked food is JJANG!!! she even made some chinese pork stew! was so surprised to find Malaysian food here hahah. it tastes a little like bakuteh! right, using your chopsticks and spoon at the same time is considered rude. not sure why but just remember that when you visit Korea =P. 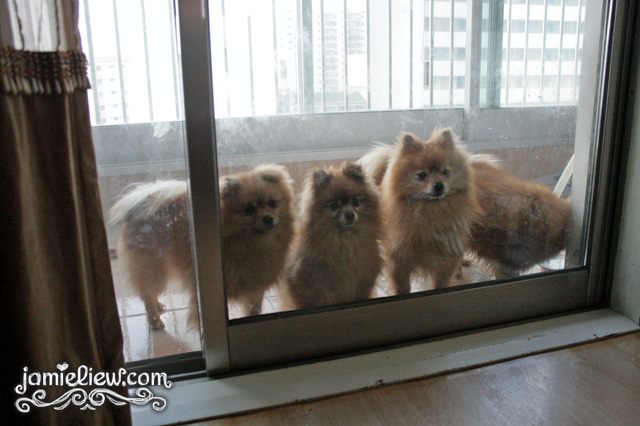 her pomeranians. oh my. super active these kids. we have a SEOUL NATIONAL MUSEUM VIEW!! it takes approximately 7minutes to reach my University’s main gate and another 7 to reach my classroom (Yonsei is HUGEEE). isn’t it pretty? can’t wait till spring comes and greens will cover the walls of that building. 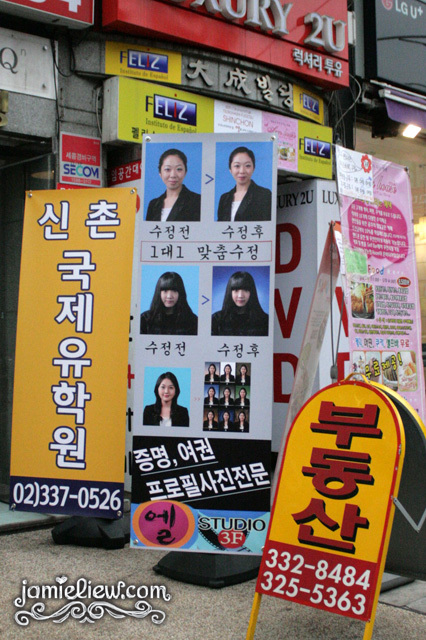 there is many reasons why you should get your passport photo taken in Korea. editing is totally legal (I think even IC’s because my friend’s IC look like him with plastic surgery hahahahahh!). but I mean, as long as your look is still there right? this bike has the swag. 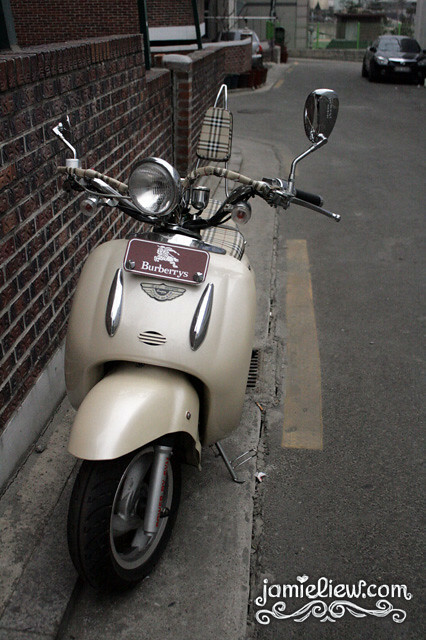 though I hate bikes but I won’t mind riding in this Burberry branded motorbike. =P. 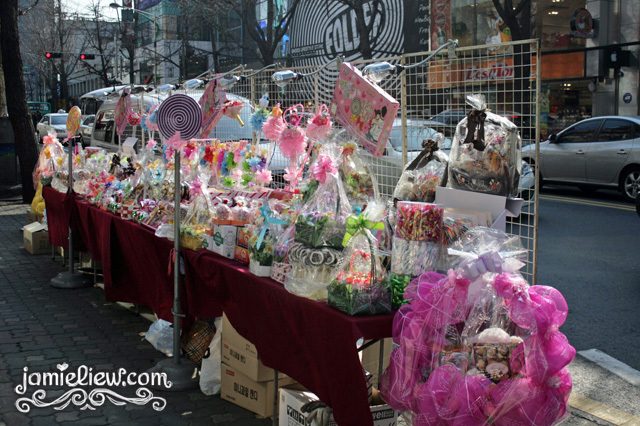 yesterday and today, the streets are filled with candies, chocolates, flowers and other sort of gifts because it’s WHITE DAY TODAY! only popular in Japan and Korea. the 7eleven here even wrote “사랑을 고백하세요!” which means “confess to the person you love!” hahahha. it’s actually a day when guys confess their love with these.. candies? to girls. basically it’s a Valentines day where guy’s repay the girls for the gifts they received during Valentines. was very bored today without an adapter and I just went and walked around looking for it. AND YES LAHHHHHHHHH. I found it. hence why I could blog. my laptop has the shortest battery life ever. like an hour + only. =S. will update more! stay tuned =P. Secret Recipe’s BUY 3 FREE 1! lol since when do I have a brother hahahha. anyway I fell sick shall get some med later. =S..
I’ll definitely go Yonsei Univ and Ehwa too this coming April! 🙂 on a side note, what camera are u using for the pictures above? yes you should they are beauuuutiful. reallly beautiful. my camera isnt on the market anymore it’s super old hahah it’s a canon 400D I personally think its better than any of the lower range cameras even until today =P. hehe thank you! I guess I am not so interested in those shows ba I watched Nanta before already too hahahha. it’s more of a touristy thing I feel =P but thanks for telling me about it! I will thank you! hahahah but just fell sick fml. 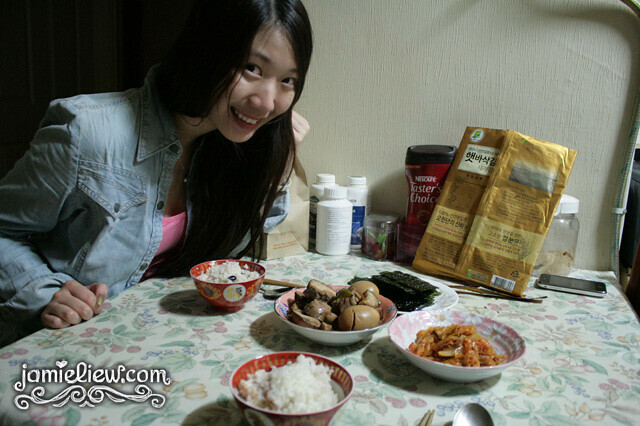 she’s half Malaysian so I think they can make more Malaysian food compared to me hahahahha =P. hahahah yeah please stay tuned! Drink the hot beverage before go out. And apply the moisturiser lotion on your skin. After several weeks later, you might will fit in the cold weather outside. I had experience overseas during the winter. koreans they allll drink cold water =S le sigh but they have ahumidifier. most of them. except me lol. several weels is too long. im already sick =S. thank you! shall keep you guys updated with my life here =P. Hehehe. You’re lucky to have her. You can boil cold water. Your health is more important than Korean culture. Don’t let yourself sick again. U_U. cough is hard to cute.. le sigh. 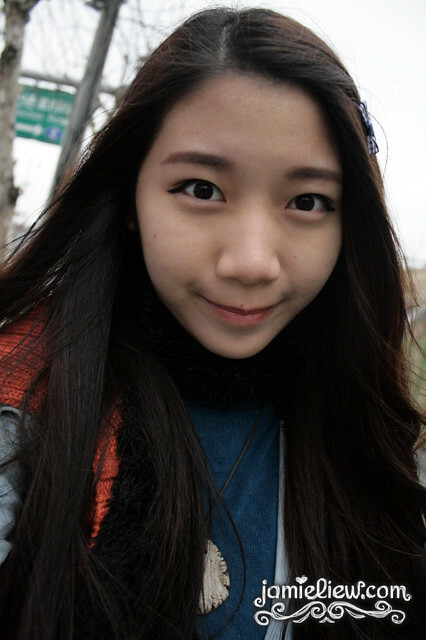 I’m a undergrad student, it’s my 4th year in Yonsei~ I was in KLI in year 2009 for two semesters. wow that’s long! 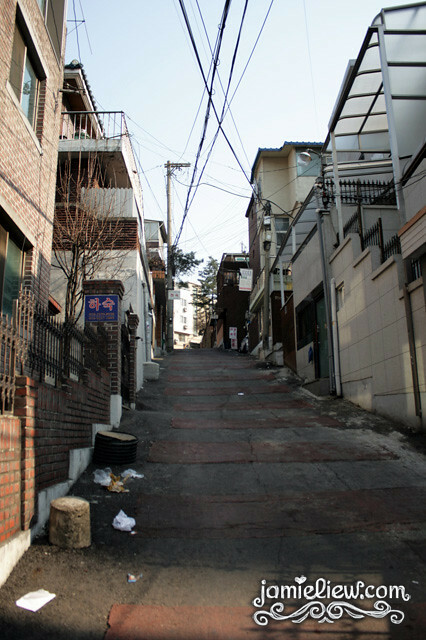 you must show me how to walk to KLI T_T. I live near the main gate =D. yeah I have heard about the shuttle bus!! but don’t know where to take it from. I havent registered for my alien card too T_T. do you think I should do it soon? the placement test is on this 28th! =D. Yeah~ u should get it as soon as possible. Try go to global lounge to look for Mr Kevin Son for more details or you just get it done by yourself at the immigration office. went to the immigration today fuhhhhhhhh spent the whole day there! and can only get it like 20 days later T_T. and they took all my receipts and letter of acceptance =S. please do all lunches sound good to me =D. I live in sinchon too! it’s very convenient here but shopping gets boring alone T_T. wow! you’re now in Korea. I envy you. haha! I think what you’re experiencing is the last cold spell before spring comes right? Enjoy every minute of it. Just curious, so you will only be taking language classes there? or regular classes too that will be included in your university coursework? 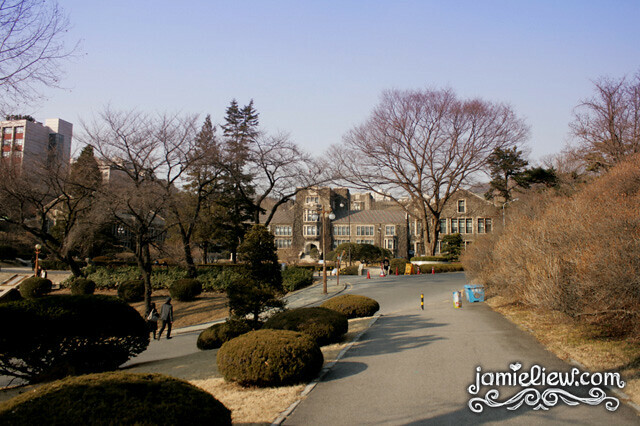 I loved walking around Yonsei University when I went there. I went nuts over the super high tech library. hahaha! I have no idea but it’s really really cold T_T. fully on language this year and then degree =D. yeah I heard about the dual screen computers hehehehe. haven’t been there yet! its more fun to have money here on a holiday rather than to study here. =D. I’m not an exchange student. =D. but yeah I guess it’s a good experience but it’s quite hectic also people here study day and night. =S. hmmm.. so u go to their university to study? the full 3 years or smthing? woah… tts really cool. i would totally want to experience smthing like tt too. did u find the uni urself & apply then go thr, or u went thru ur school or something to get linked up? also, dont mind if i ask for ur age? do they have a age limit or smthing? I don’t think they have but students discriminate I heard. it perhaps isn’t as fun as you think it is I guess. there was a student who threw away her scholarship because of the age discrimination. and I don’t think that was the only case lol. and it’s very much like you study everyday and eat uni food because everythings so exp here =S. I still like it because I think it’ll make me stronger. but depends if you prefer the fast and stressful life or not. haha. im 19. I guess it’s definitely not easy living in this fast phased country but yeah, think about it! ^^ thanks! Jamie, may i know which visa to apply if i’m going to korea to study language and then the degree? i’ve read that there is D2 and D4.. im a bit confused. d4 then d2. u can call and ask the embassy.